After denouncing the leak detection technology of the Dakota Access Pipeline in a report to the U.S. Army Corps of Engineers earlier this month, the Standing Rock Sioux Tribe is taking matters into their own hands by launching a Clean Water Campaign to better prepare for a spill under their water supply. The primary purpose of the Clean Water Campaign is to establish a water safety system that will mitigate the impacts of an oil spill, explains Chairman Mike Faith. This includes the placement of water monitoring wells, training a rapid response team, and purchasing equipment. The campaign is raising money for the costly project through the crowdfunding website YouCaring. The Tribe’s 313-page report was written in response to Judge James Boasberg ordering the Army Corps to conduct an adequate assessment of the impacts of the pipeline on the Tribe. It concludes that the Army Corps is unable to address a worst case discharge under the Tribe’s drinking water, and highlights the ecological harm a leak can have on the surrounding environment. 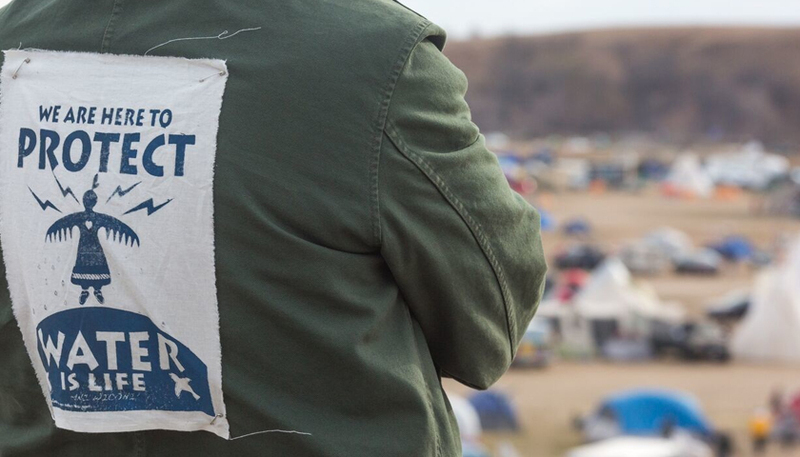 The Dakota Access Pipeline has spilled five times since it began flowing oil last year. However, the Tribe’s report shows that not all leaks are detectable. The leak detection system cannot detect leaks that are less than two percent of the full pipeline flow rate. With a daily capacity as high as 570,000 barrels, a 11,400 barrel leak would currently go unnoticed.